Australia’s PM Rudd, Santa Clause of the Global Warming Industry, wants to waste another $100 M per year of other people’s money on his Carbon Capture and Storage Institute. All life on earth depends on our atmosphere for four essentials – oxygen, water, carbon and nitrogen. This foolish Institute aims to permanently sterilise two of them, carbon and oxygen. It destroys valuable resources and wastes extra energy doing it. Every tonne of carbon buried in CO2 by CCS takes almost 3 tonnes of oxygen with it. It is more accurately referred to as Oxygen Capture and Burial (OCB). Planets like earth gradually lose their life-sustaining atmosphere and end up as lifeless planets like Moon and Mars. It just takes time. The essentials of life are already being continually lost by other processes, largely locked up in rocks as limestone or coal, lost to space, or buried in ocean sediments, land fill or human cemeteries. These buried treasures are lost for eons, maybe forever, to the cycle of life. The OCB scheme would deliberately accelerate that deathly process. Burning coal and oil, smelting metals, mining phosphate and calcining cement make small contributions to reverse this long term disappearance of essential elements from our atmosphere and biosphere. 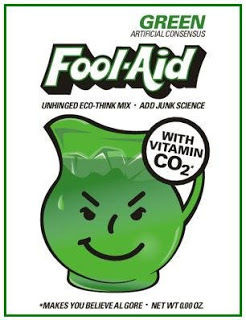 There are no climate benefits of this silly proposal because CO2 in the atmosphere does not control climate – the tiny effect of man’s CO2 emissions is wholly beneficial. The OCB Scheme will provide cushy jobs and Frequent Flyer Points for the Climate Change Industry, jobs losses in every real industry, and soaring costs in every home. Green extremists know that OCB is a fantasy but see it as a weapon to cripple carbon industries with taxes, thus making solar and wind power look economic. Our PM should reduce his carbon footprint and come home. Australia cannot afford a world statesman. There's career politicians and chopping their salaries in half. A group known as Citizens for a movement to radically change California government, by getting rid of California Reform wants to make the California legislature a part time time job, just like it was until 1966. Previous Previous post: C.R.A.P. (Carbon Really Ain't Pollution) t-shirt!